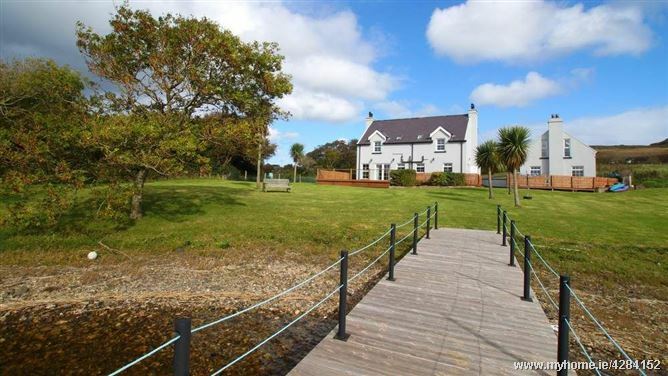 Lakeside Cottage is a modern 4 bedroom holiday home with a truly idyllic setting on the shores of Kindrum Lake on the ruggedly beautiful Fanad Peninsula. 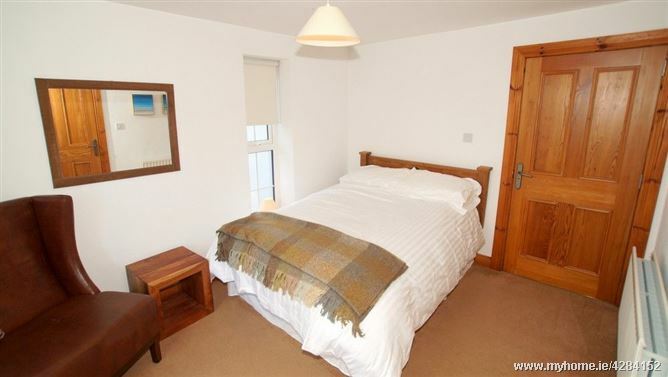 This luxury self catering cottage is also just 1.5km from the wonderful Ballyhiernan Beach on Fanads Atlantic coastline and 7.5km from the iconic Fanad Head Lighthouse. 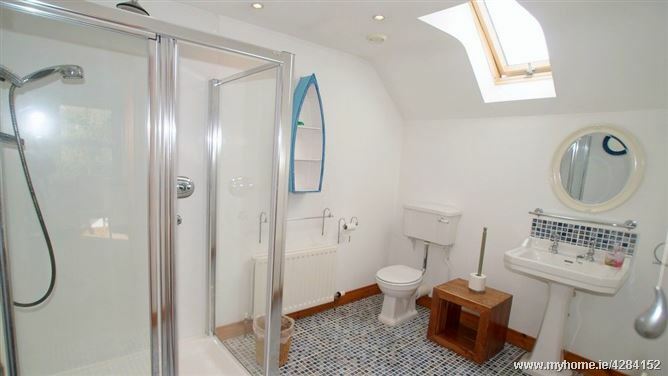 The holiday home has large mature gardens along the lake shore and features its own private jetty – the perfect launch pad for non-motorised water based activities. Kindrum Lake itself is a popular fishing lake and permits and boat hire are available locally. 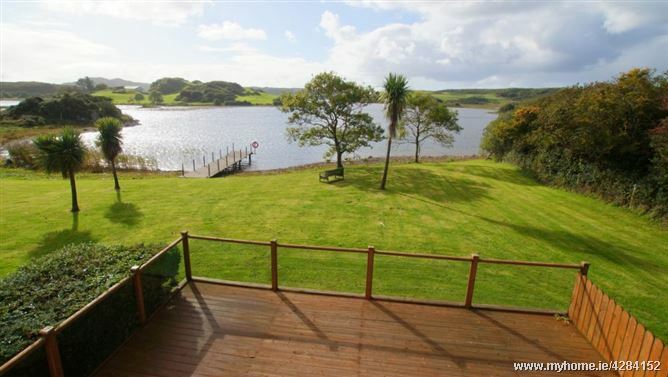 With a small hill to the front of the house, a lake to the rear and trees on either side the setting is wonderfully private – perfect for a relaxing getaway. To enhance this experience there’s no TV or WiFi to distract from the surrounding beauty. 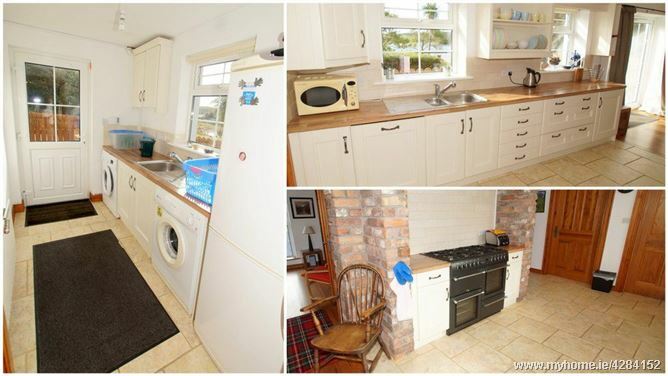 Lakeside Cottage has a large open plan area on the ground floor with living, kitchen and dining spaces. Double glass doors lead out to a large enclosed decking area overlooking the gardens and lake. 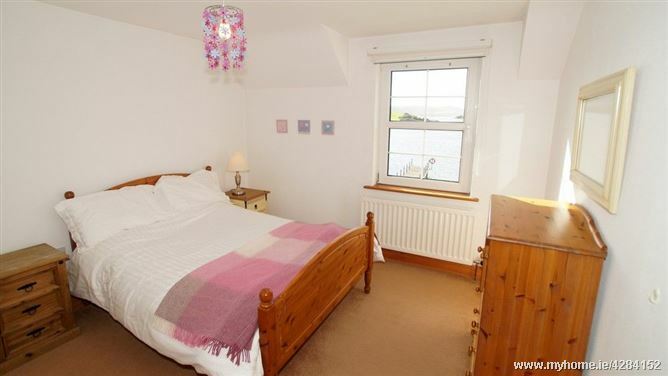 There is a wonderfully spacious ensuite master bedroom on the first floor with lovely lake views. 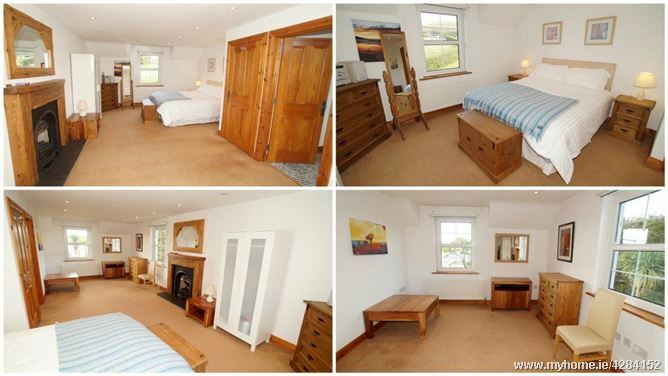 There are two other double bedrooms on the first floor as well as a large bathroom with bath and separate shower. 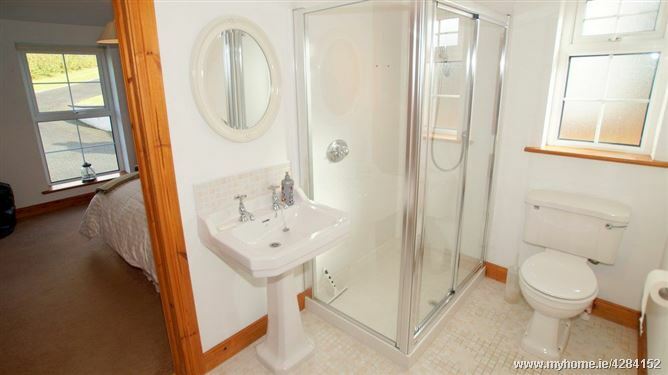 On the ground floor there is; another ensuite double bedroom. 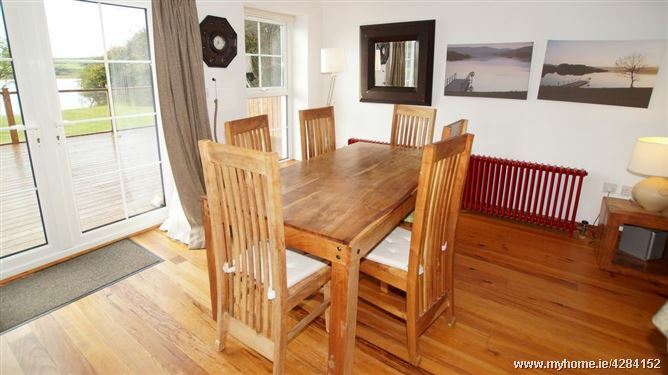 Lakeside Cottage is centrally located on the northern tip of the Fanad Peninsula. 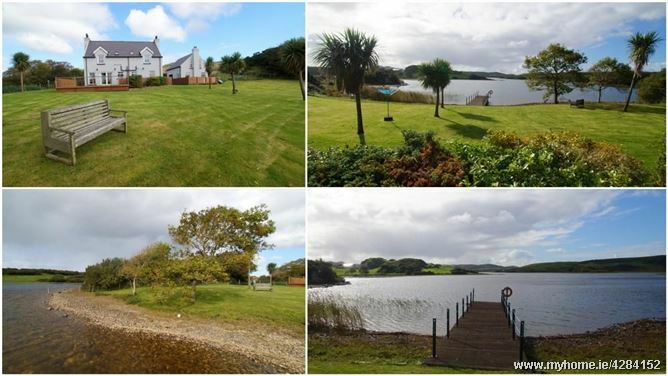 It is between the shores of Mulroy Bay and Lough Swilly with the Atlantic Ocean less than 2km away to the north. 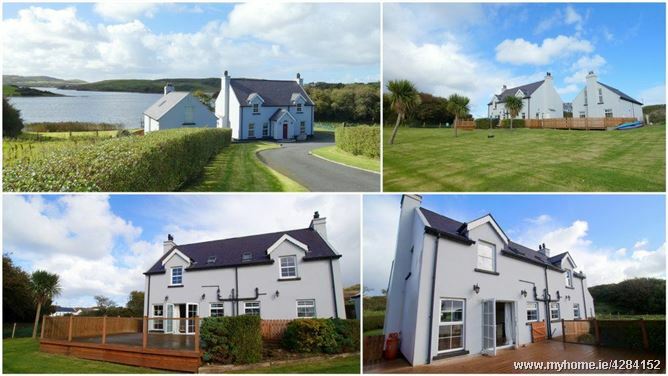 The holiday home is also a few minutes drive away from 4 of the most secluded and unspoilt beaches in Donegal – Donaghmore, Sessiagh, Port na Ling and White Shore. 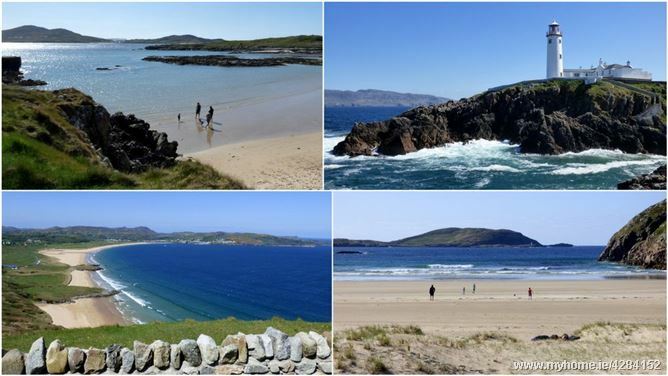 The nearest beach; Ballyhiernan - is a Green Coast Award beach and is the location of Adventure One Surf School - the leading ISA approved surf school in North Donegal. The narrow winding roads around Lakeside Cottage play their part in ensuring a slower pace of life. These roads are ideal for walking and cycling. Indeed the wider Fanad Peninsula is criss-crossed with winding country roads and coastal tracks – perfect rambling terrain. 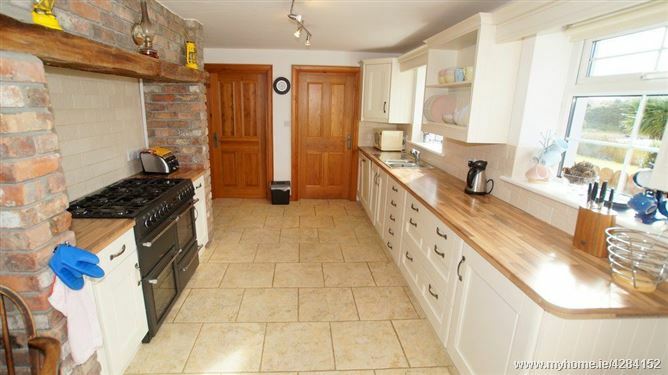 Although situated in a peaceful rural location, the holiday home is within easy driving distance of some major tourist amenities. 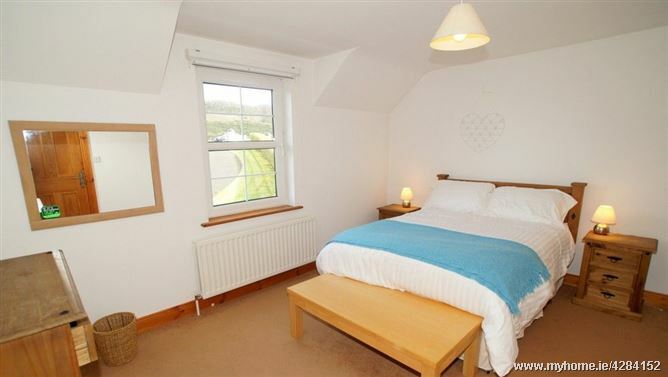 The top class links golf course and blue flag beach at Portsalon is 10km away. 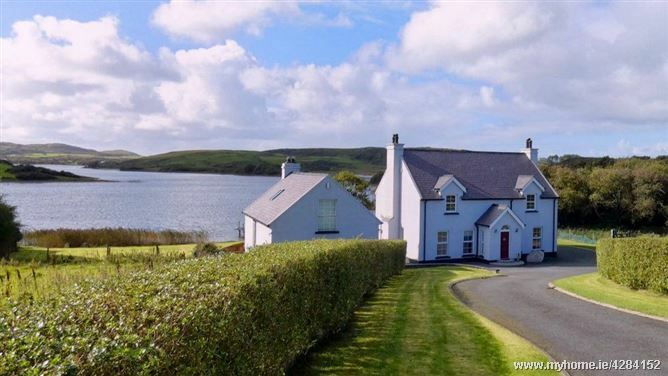 The Harry Blaney Bridge over Mulroy Bay means the two holiday resorts of Carrigart and Downings are a 20 minute drive. 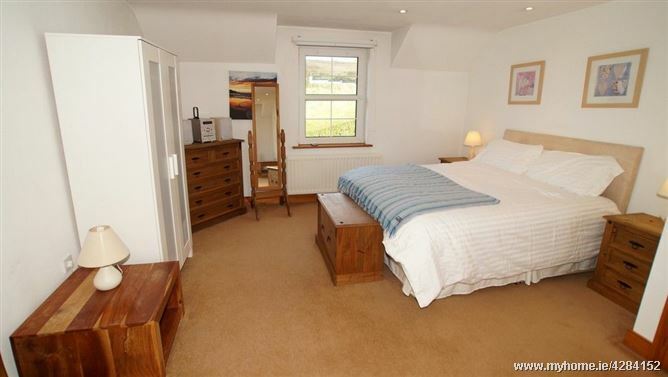 Near Downings is the fabulous Rosapenna Golf Resort. Area 50 in Kerrykeel (15km) is a top outdoor activity centre featuring water sports, trampolines, rock climbing, archery and much more. 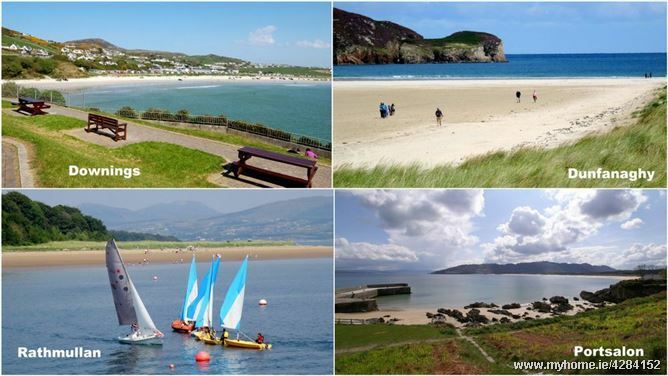 The popular family seaside resorts of Rathmullan and Dunfanaghy are both a 40 minute drive away. 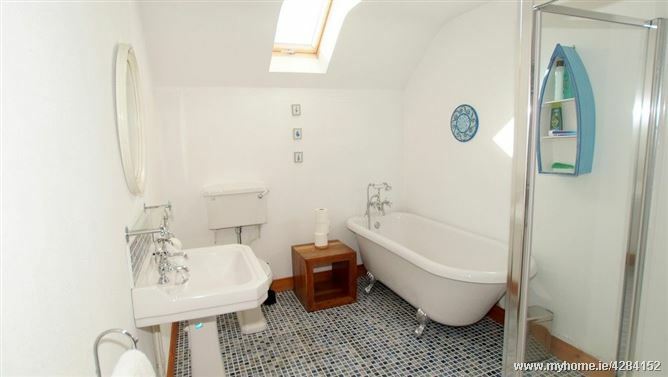 There are a number of worthwhile day trips that can be enjoyed from the holiday home. 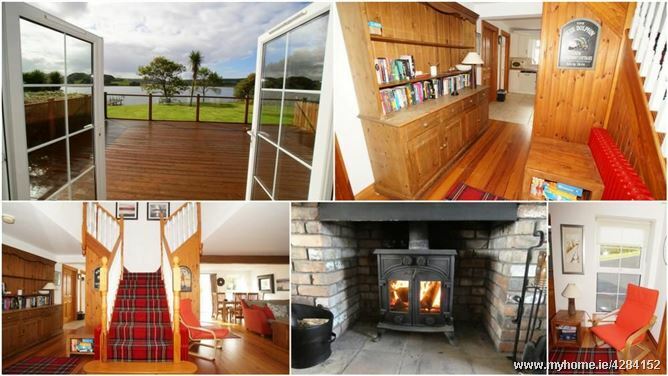 These include the magnificent Glenveagh National Park , Ards Forest Park and the historic Walled City of Derry. Letterkenny - Donegals main shopping town - is 40 miniutes drive away and features a multi-screen cinema, theatre, county library and museum, Arena 7 Adventure Complex, mini zoo, karting cente and the modern Aura leisure centre. 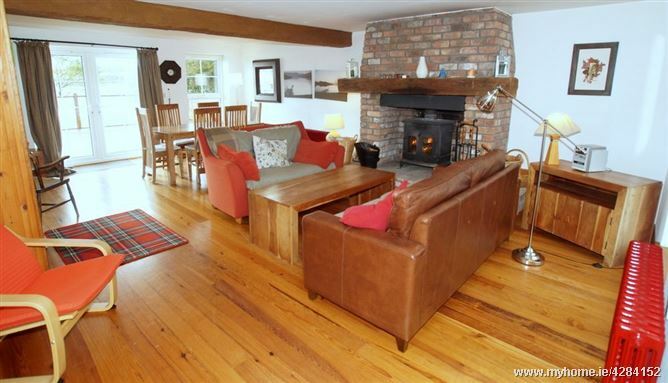 Lakeside Cottage affords a restful getaway for the keen walker, golfer, photographer, artist or angler. 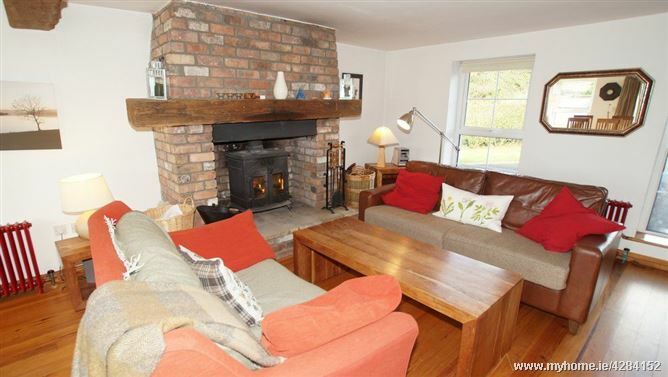 It is also an ideal base for families who want to experience a real "get away from it all" holiday in the beautiful Fanad Peninsula.